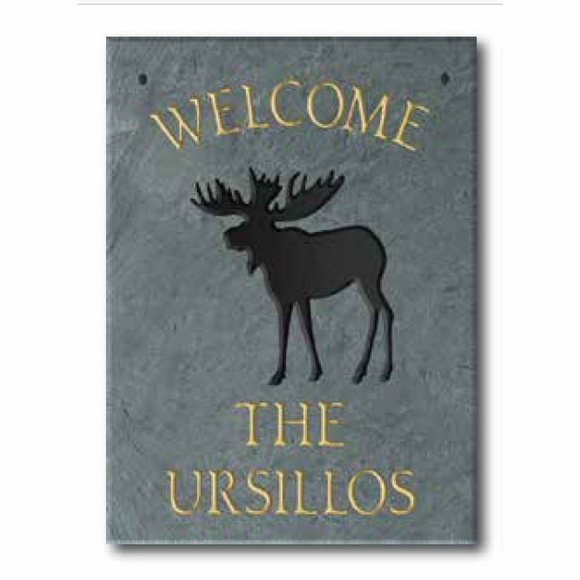 Personalized Moose Welcome Plaque - - 9" x 12" Welcome sign with silhouette of a visiting moose. Personalized with your name, address, or alternate text. Made in USA. The word "WELCOME" comes standard on the top of this plaque.